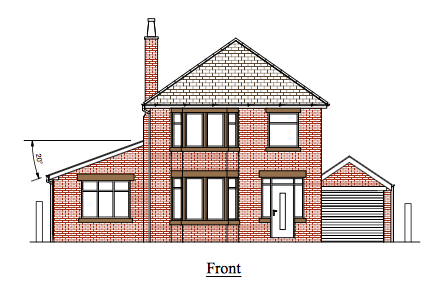 Currently under development, Four Bedroom, Four En- Suite, Detached Residence, situated in a desirable location with higher floor views overlooking Royal Lytham Golf Course. The property is currently under development and potential purchaser's will have the choice to design the internal ground floor wrap around extension to their chosen specification which will consist of two, ground floor bedrooms with en-suite bathrooms and a large open plan dining kitchen and family area overlooking the rear garden. The high-quality accommodation as a whole comprises, Entrance hallway, ground floor w.c. Separate Lounge, Open plan dining kitchen with a side breakfast room open plan to the dining kitchen area, two ground floor en-suite bedrooms, two first floor en-suite bedrooms one with a large free standing villeroy & boch bath. The accommodation offers a good size rear garden with a private driveway leading to a detached brick garage. Viewing is highly recommended.